Can you implement Forge microblock support? You should add ConnectedTexturesMod as a required dependency. It is, you should read the description of the ConnectedTexturesMod overview page more clearly especially this one as it says it's a dependency. I mean, it should be added as a required dependency on CurseForge so that it appears on the “Dependencies” page. This makes it easier for people making modpacks and downloading mods within launchers in general. If CTM added as a required dependency, launchers like the Twitch launcher will download it automatically when you download Chisel. Where did the glass panes go? Is the Cloud in a Bottle from the 1.7.10 version going to make a comeback eventually? I loved using those on servers. This mod is absolutely amazing. It allows you to make ROUND OBJECTS IN MINECRAFT. 10/10 Mod in my opinion. Chisel doesn’t let you make round objects. 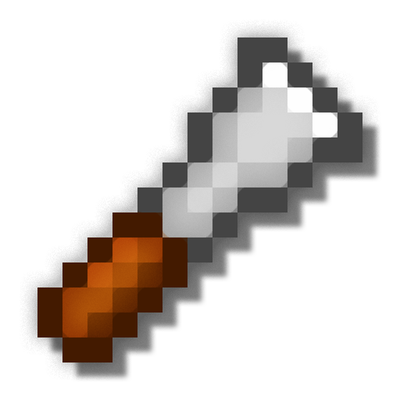 You may be thinking of Chisel & Bits—or maybe ArchitectureCraft. 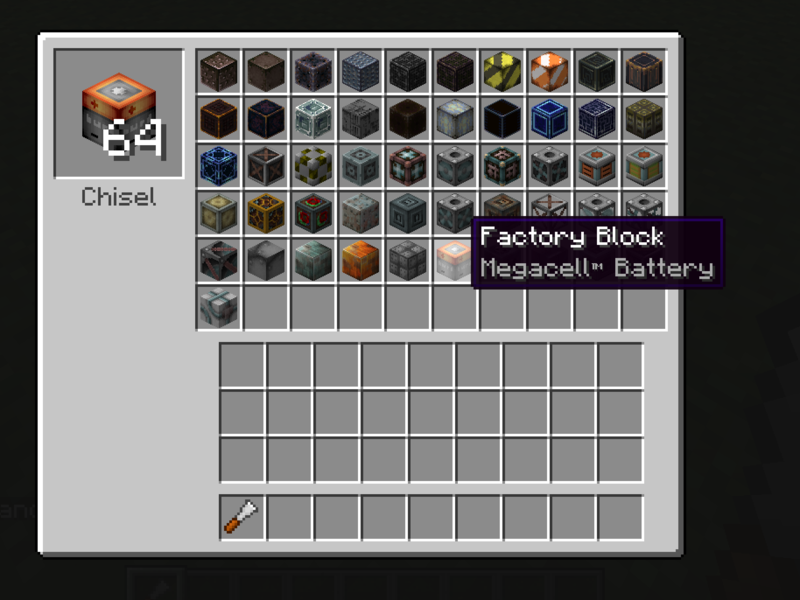 Chisel is amazing, and I, and a lot of other people, would love if compatibility with Thaumcraft 6’s blocks (Greatwood Planks, Taintwood Planks, Silverwood Planks, Arcane Stone, and so on) were added! I like this mod very much. Is the 1.13-version planned? They will probs update it when it is stable, or are working on it. Would it be possible for you to update the link in the "Dependencies" tab as well? I got a little confused over the CTMLib only being released for 1.7 until I realized your description linked somewhere else.. I don't know if this has been brought up before, but do you have any plans to add additional textures for colored terracotta? The variety this mod adds is amazing, but the lack of support for colored terracotta is a glaring omission. above says "Legacy Downloads and other information is available on http://minecraft.curseforge.com/mc-mods/224329-chisel-1-7"
but that link results in "Not found"
Most of the textures for the mod are missing. I don't see anything that you need to installs aside from the mod. Can anyone help me fix this? You need Connected Textures Mod (CTM). Try getting that then see if it happens again.